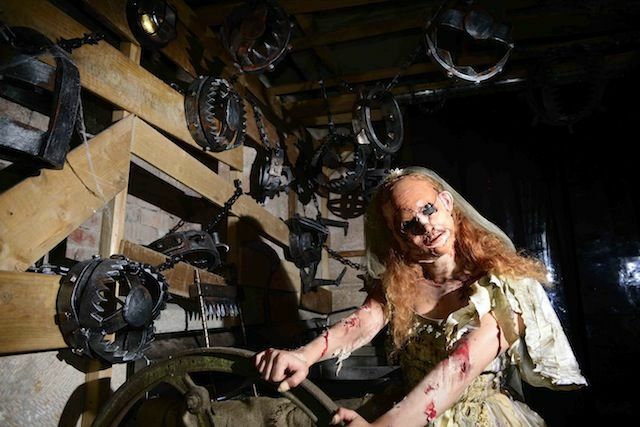 We were invited to media events at three UK parks this year: Fright Nights at Thorpe Park, Scarefest at Alton Towers and Screamland at Dreamland. As Halloween itself draws near, here's a roundup of what to expect from each. 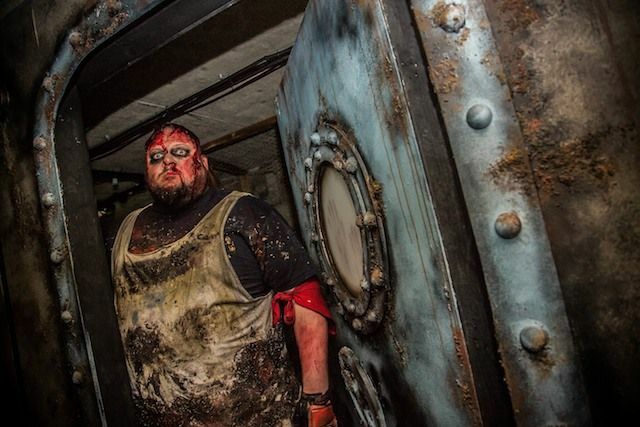 Returning for a fourth year, Screamland has quickly established itself as a staple on the UK haunt circuit. Having typically favoured more theatrically-driven experiences scattered around the historic constructs of the seaside amusement park, this year sees a block of tents at the back of the park holding all but one of the mazes. It's a less atmospheric way of setting up what lies within, but a necessary move as the park continues to develop. Fortunately, this hasn't affected the artistic intent of what's been built within. 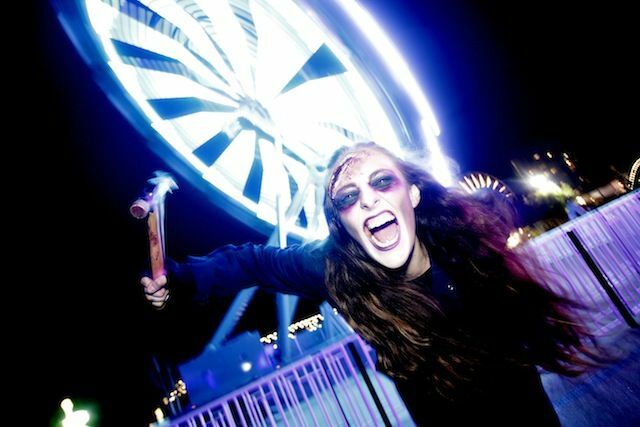 Since its inception, Screamland has used its mazes to tell intriguing stories – and this year is no different. The actors here don't just deliver jump scares, but considered narratives. There's a great tonal balance at play. RMS Mary Decomposed takes the 'ghost ship' concept and gives it a local twist. And – in the tradition of the event's best work – a nudge at social commentary. We're warned not to “mix with the wrong sorts” from the lower decks, before doing precisely that. In a country that still shows the scars of an inherent class divide, making that the crux of a horror experience is a bold and thought-provoking move that deepens the experience. Next door's Punch and Judy Horror Show is a lighter experience tonally, but offers similarly detailed environments and thoughtful designs. Riffing on some of the characters and settings we've seen in previous years, it features the kind of character design that makes you want to linger in the rooms, rather than run screaming. 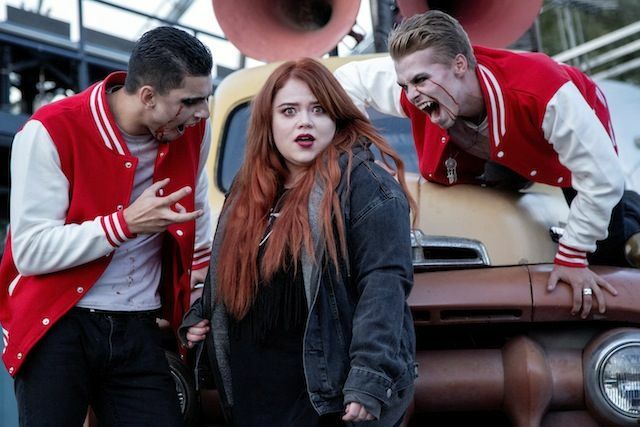 Unfortunately, that impulse isn't helped by the fact that the maze is pretty light on scares – partly because it needed a couple extra scare actors working the space, but mainly because the design simply lacks enough surprise and ingenuity. Dreamland Sleep Experiment seemed to be the favourite maze of most people I spoke to. A spiritual successor to the The Paradise Foundation from the park's 2016 event, it was the most successful in creating a creeping sense of dread – and featured a couple of real standout performances early on, before getting into the proper scares. 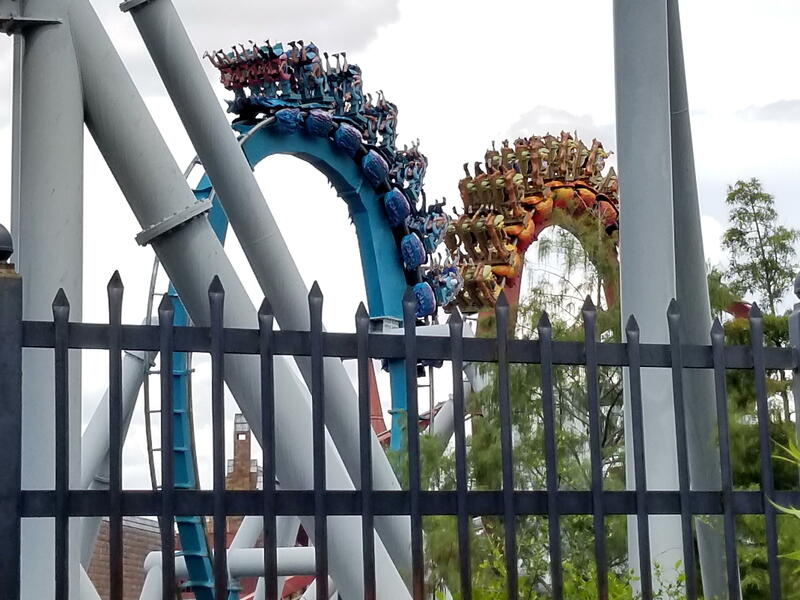 The only low spot on the line-up is The Upside Down, a reconfiguration of the park's mirror maze that has lost the entertaining grotesquerie that it had under its Punchinello's Revenge guise in 2017. The character design this year is simpler and less engaging, and it suffers greatly from placing more of an emphasis on the mirrors themselves – which offer a few cool visual moments, but ultimately loses its effectiveness when you're batched in large groups and can clearly see the smudges and finger prints of those who've come before you. But it's a good 'entry level' maze for kids, perhaps. 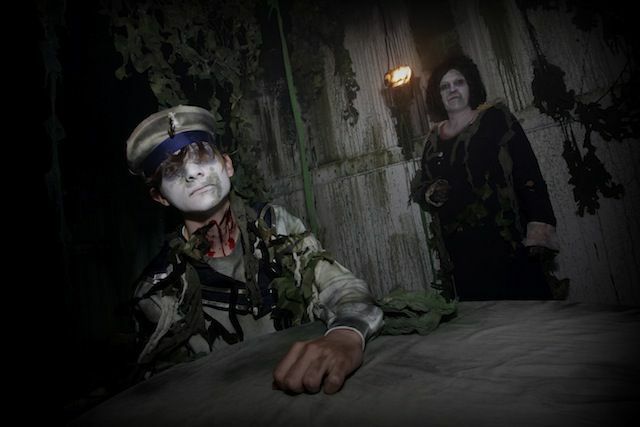 Concluding the park's Year of The Walking Dead, this year's event sees two mazes built around the popular TV show leading the pack. The Walking Dead: Living Nightmare returns in a tighter form that makes for a more intense experience. Although I miss some of the tricks of the building's previous Cabin in the Woods theme, this is undoubtedly a stronger maze overall, with some great touches in the design and a genuinely disorienting set of detours. Lots of nice touches for fans of the show, too. 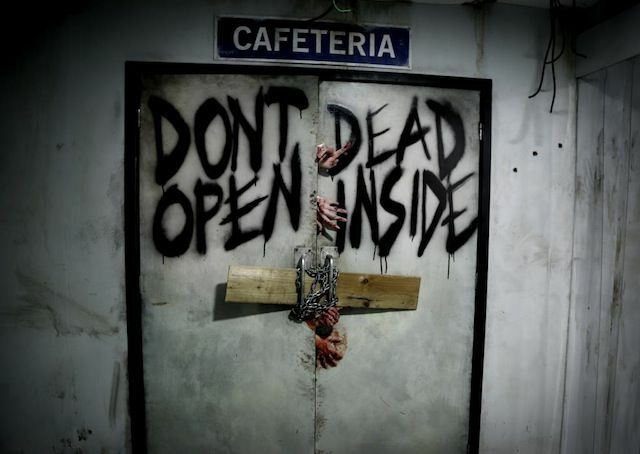 New addition The Walking Dead: Do or Die has some solid set pieces – including a great opening flourish on a school bus – but wasn't yet refined enough on the first night to really land the scares for me. There were some decent performances to keep things moving, but – as was the case with last year's Sanctum maze – there's far too many blank spaces in the design to feel truly immersed in it. The opinion of others I spoke to on the night differed however, so possibly I had a bad run, or it just needed time for the actors to make it work. The highlights of the night for me were Saw: Alive – returning in its most confident and effective version yet – and Platform 15. 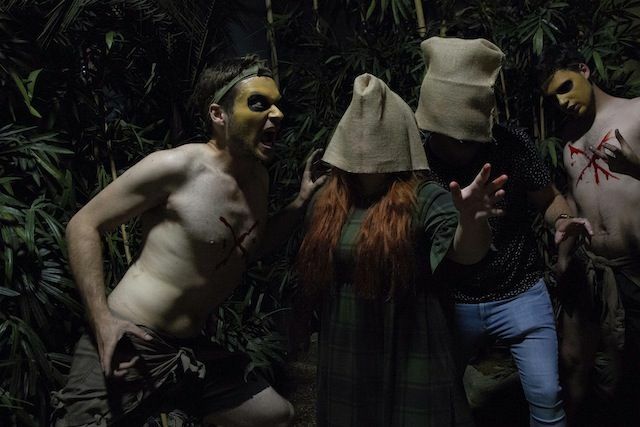 A fixture since 2016, the actors here have struggled in the past to make the layout and size of the maze work, as we take a mini-trek on the abandoned railway tracks around the park's woodland outskirts. But it's a far more assured, effective journey this year. Attempts at jump scares are saved for a few key moments, and the performances are far more fitting of the design and epic scope; full of creeping dread and haunting imagery. 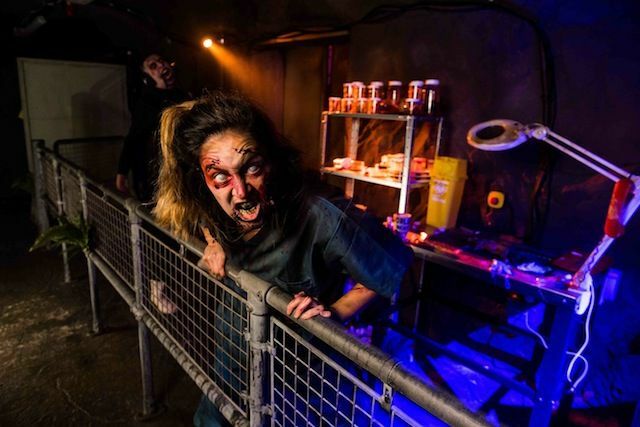 It's the most extreme example of a design trend at Fright Nights that sets it apart from other scare attractions; the mazes are generally devoid of the kind of tight, claustrophobic corridors that you'll find in most scare attractions, favouring more open spaces and set pieces. As a result, they offer some incredibly atmospheric moments – the emergence of the bride in Platform 15 was one of the most beautiful images I've seen in such an attraction – and great opportunities for storytelling. The one unsuccessful maze of the night for me was Vulcan Peak, which uses the tried and trusted “bag on your head, follow the rope” concept. Where other attractions use this as a technique for delivering sensory shocks – hearing and feeling actors, sudden encounters with effects, etc – here there was almost nothing environmental to interact with at all. It's a shame, given the great work they've done in building tone and narrative before the maze itself begins. Given Thorpe Park's tradition of heavily improving mazes in their sophomore outings, I hope this one fulfils its potential in 2019. Aside from the mazes, other entertainment for the night consists of the return of escape room Containment, short film marathon Screamplexx Cinema, scare zone Terror at Amity High and a part zone, part show The Big Top: Showtime. I wasn't able to catch the stage show portion of Big Top, but the wandering scareactors were doing good work at the front of the park. It's a shame it couldn't return in its deliriously fun maze form from last year – the undoubted highlight of 2017's event – but at least its presence was kept alive in some form. I'll keep my fingers crossed for a 2019 resurrection. I'll start with a confession: this is the first year I've made it to Scarefest. So although I was highly impressed, that might be partly due to the novelty. And it's worth noting that the mazes at Scarefest come with an extra cost, rather than being included with your general admission – which is obviously not something I had to consider when attending a media event. That said – I would definitely drop the necessary cash to do the mazes if I was visiting again. 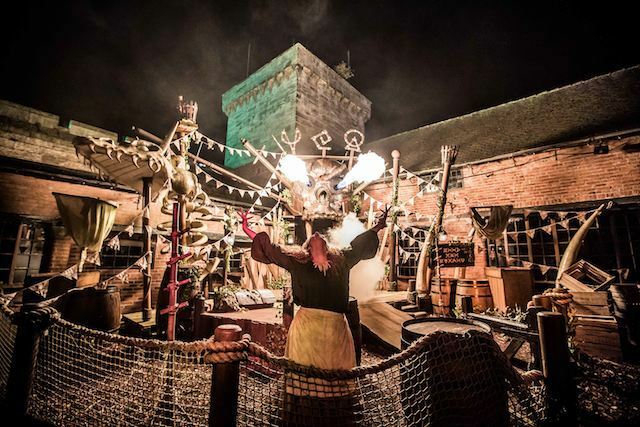 My favourite was Altonville Mine Tours, in which we're handed head torches and sent into the 'mines' under the castle where an unusual family once lived. Some entertaining hamming-up of redneck stereotypes leads into a maze that is genuinely startling and disorienting. Without dropping any spoilers, the head torches themselves are used to brilliant effect, and the design work throughout is detailed enough to create a thoroughly engaging environment – it really feels like you've stumbled into the denouement of a horror movie. Similarly winding its way through the grounds of the castle is Sub Species – The End Games. The scenario here is a little more generic – something something post-apocalyptic something – but that openness creates the opportunity to layer in all kinds of tricks, traps and surprises. Again, without delving into spoiler territory, on a few occasions I found myself alone in the maze facing up to one of its inhabitants, with no idea where I was. And the character work in these moments was perfect – haunting, but always propelling me deeper in. A close second favourite of the night for me was The Welcoming: Be Chosen. Although the lightest on jumps, I found it no less intense an experience. Seen as a prelude of sorts to the nearby Wicker Man rollercoaster, here we're introduced to the Beornen – mysterious villagers holding a pagan ritual. Mixing indoor and outdoor sets, there are some moments that are nothing short of stunning. And the sound design was particularly effective too, working with visual cues to incrementally ramp up the tension in a way that felt truly theatrical. The last of the adult mazes is a new one for 2018: Project 42. Set in the queue and show building of the closed Nemesis: Sub Terra ride, revolving around a military operation to deal with an alien presence, the vibe reminded me of the Alien vs Predator mazes from 2014's Halloween Horror Nights. It's an admirable choice to make use of the ride's impressive set pieces, and we're afforded a much better view of them than we were in its Sub Terra days. 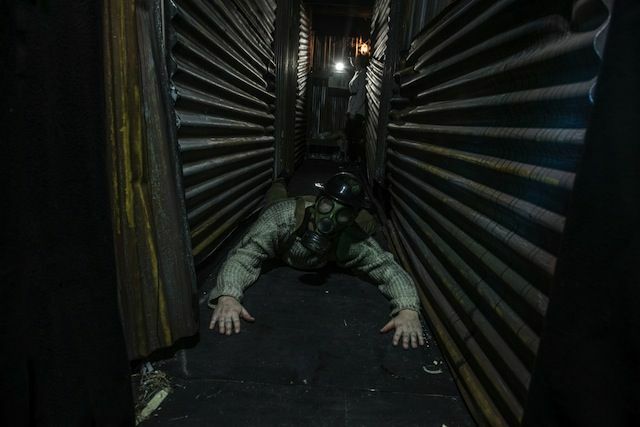 But while Scarefest's other mazes make a virtue of their size by creating tight and detailed claustrophobic environments, here you could feel the budget straining to pull off that blockbuster effect. The mannequins that are supposed to suggest an encroaching army are just a little too obviously mannequins, for instance, and the climax of the maze is too reliant on flashing lights and loud noise with not enough substance behind that. Still, it's nice to have variety in tone at an event like this, and Project 42 definitely offers something different to the event's palette. Beyond the adult mazes, the park offers a variety of kid-friendly entertainment. The centrepiece is the House of Monsters maze, which in truth is really more a sequence of puzzles and theatrical moments with a 'classic monsters' theme. It's goofy fun, and good value at £5 – even if the quality of the performances was a bit of a mixed bag. Elsewhere, there's a variety of simple sing-and-dance-along shows on the central stage, and various Halloween activities and overlays in Cbeebies Land. For repeat visitors to the park however, just as exciting as the mazes will be the chance to ride the Wicker Man coaster in the dark for the first time. As I discussed when I reviewed it at the start of the season, it looks stunning at night – both on and off the ride – and well worth putting up with the longer evening queues for the rare opportunity to experience it at least once. Ben .... great report for me to read especially as I visited TP & AT last year. I have to get back sometime soon to try Wicker Man !! 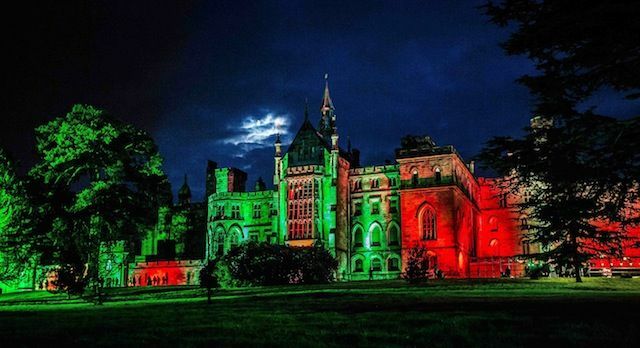 I love the photo of the stately home all lit up in red and green. I'd left for the US long before Scarefest started, but I thought even back when I lived over there (up to 1996), they did something 'spooky' .. ? The one thing I found surprising about your report from TP is zero mention of Derren Brown's ghost train. Is it open ? and do they do anything different for Halloween ?